I love Evangelion. 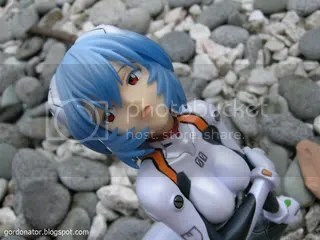 I also love Rei and Asuka as well. 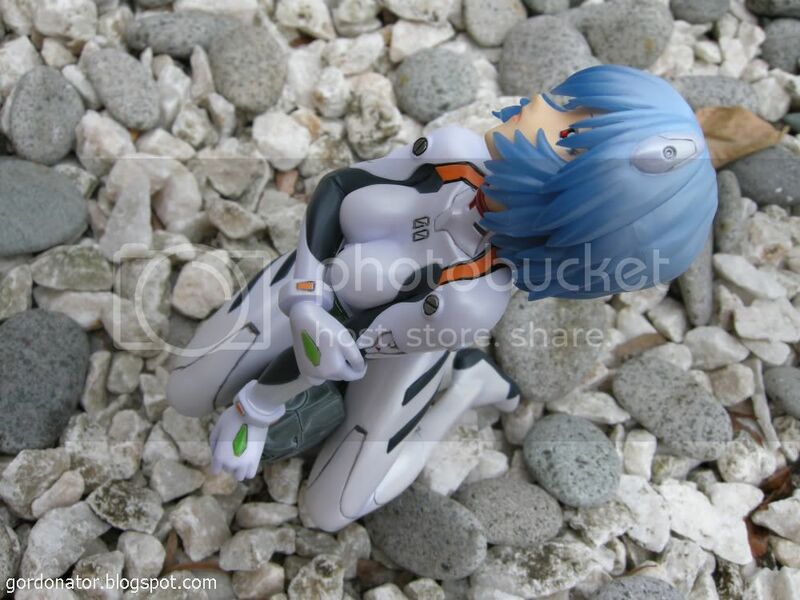 I have a 1/5 scale Asuka in plugsuit figure from Alter and always wanted a nice figure of Rei in plugsuit as well. 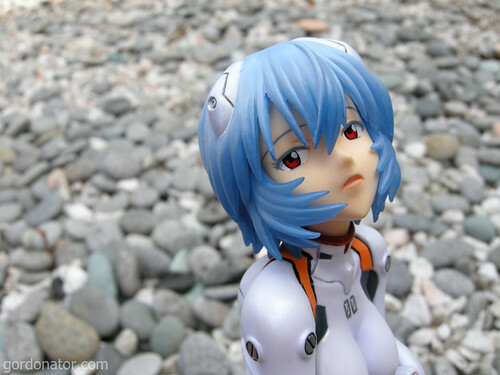 Although Alter also has a 1/5 scale of Rei in plugsuit as well (similar to Alter’s Asuka), I never really like it as Rei had white bandages around her head covering her right eye. So last year when I find out that Kotobukiya was going to release a 1/6 figure of Rei in plugsuit, I got excited. 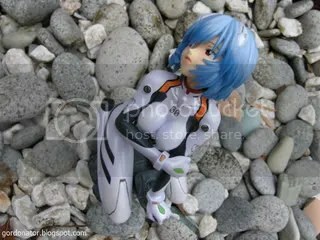 Looking at pictures of the finished product online, I was convinced that this is the Rei I wanted and placed an order for it through my seller. 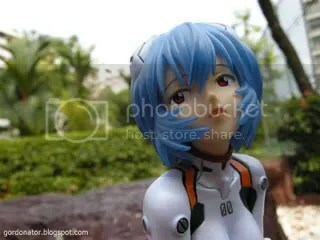 After months of waiting, Rei finally arrived. I wasn’t disappointed. 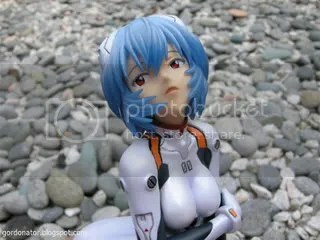 The figure lived up to my expectation. Rei is seen with an innocent looking expression, her seductive pose showed off her nice curves beautifully. 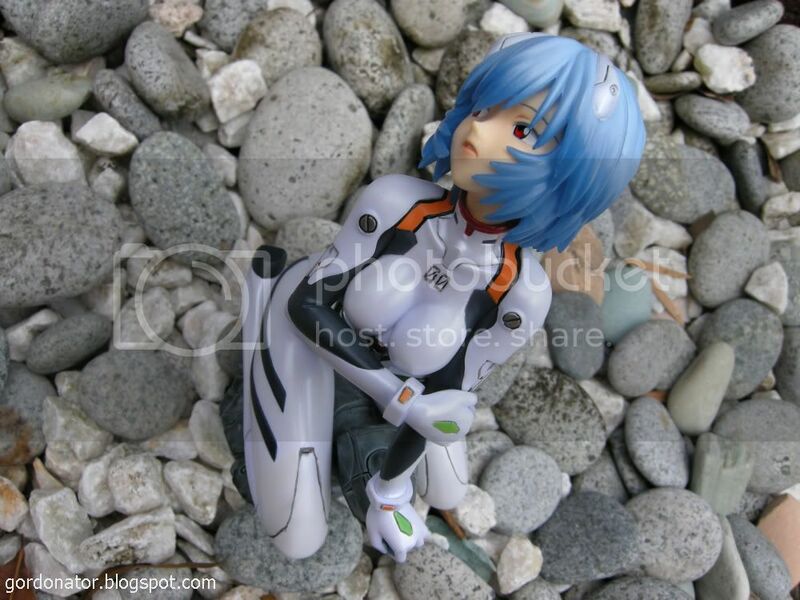 The base is one of the coolest I’ve seen, it has Rei resting on a statue of her unit-00. For those who want to take a better look at the base can click here and here. If there is any flaws I will say it’s the fragile plastic box. The design of the box is simple with no drawings and looks to be falling apart. 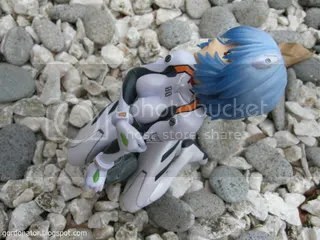 But that’s the only negative thing I can see for this figure. Moving on, initially for the photo shoot I wanted to shoot near a lake. While on my way to the lake, I chanced upon this park in my neighbourhood that has this floor of pebbles and rocks. It proved to be an excellent shooting location. 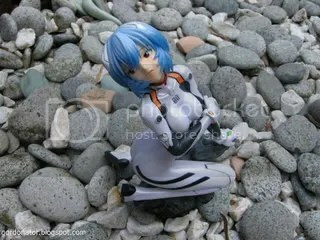 Beautiful figure! I’m waiting for it to be released. 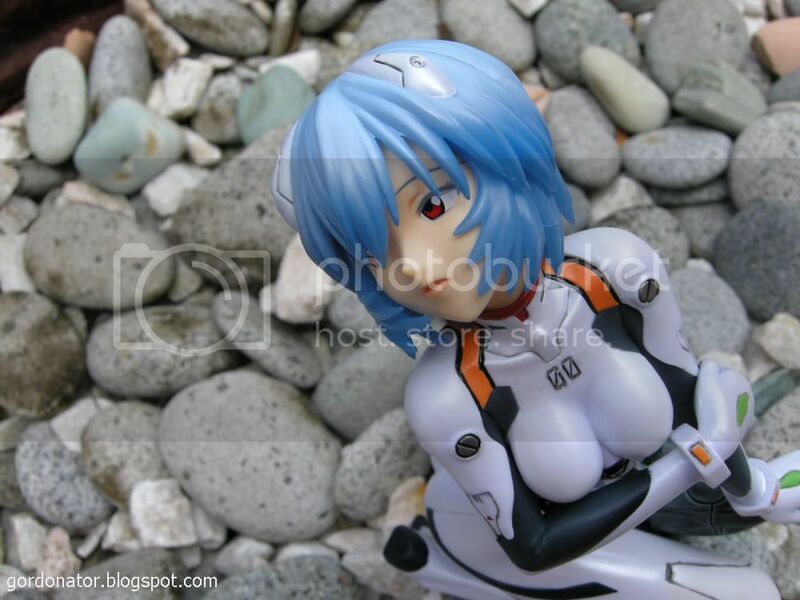 Nice pictures, the setting looks gorgeous! Kintaro, it’s already released in Dec last year. Have you ordered it? I see you used some of the tips I gave you. Good job! windbell, i’m new to photography but will continue to work hard.